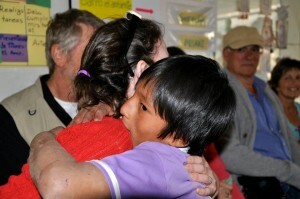 When we got to the Corazon de Dahlia Center in Saylla, I was so excited to see the kids. I raced up the stairs and entered the room. They were all sitting on small plastic benches around the room in a circle. I was motioned toward a seat. 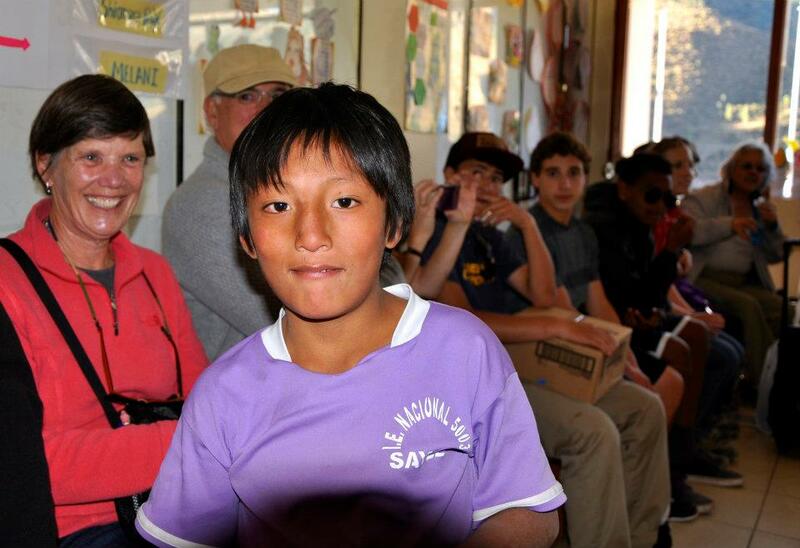 When I looked up I saw Anthony, a sweet boy who I remembered well from my visit last year. I had met both of his parents and visited his dimly lit adobe brick home. He was a boy who was the first one to arrive and one of the last to leave each day. He often misbehaved to get extra attention. You could tell he truly relied on the warmth of Corazon de Dahlia. I called out his name across the room. He didn’t hear me. I called out again. He looked up. Then he looked aside. Finally, he looked again. This time more closely. “Profe, Dahlia!” he shouted as he bolted across the room. He came running into me so fast, and wrapped his arms around me for a long hug. In that instant, he captured the hearts of our whole tour group.